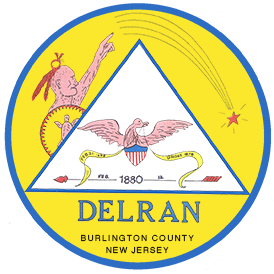 The Delran Township Police Department is committed to providing the highest quality of police service to our citizens and visitors. We are dedicated to improving the quality of life in our Township. Our Department will work in partnership with our community to provide a high degree of effective and efficient public safety while maintaining respect for cultural diversity and individual rights and dignity. Chief Parente was appointed Chief of Police for the Township of Delran on May 21, 2004. He is responsible for the day to day operations of the Police Department. Chief Parente’s law enforcement career began in January 1991 when he was appointed as a full time police officer in Delran. After graduating from the Camden County Police Academy, he was assigned to the patrol division. In September 1999, he was promoted to Sergeant and assigned to supervise the evening shift. In 2001, he attended the 204th session of the FBI National Academy in Quantico, Virginia. In May 2002, he was promoted to Lieutenant and assigned as Support Services Commander. Chief Parente is a member of the Burlington County Police Chiefs Association, New Jersey State Chiefs of Police Association, the International Association of Chiefs of Police and the FBI National Academy Associates. We will serve the community and strive to uphold their trust with the highest moral and ethical standards. We will be guided by honesty and moral courage in all our relations with our citizens and with each other. We recognize the value of individual and cultural diversity and will treat all people with kindness, tolerance and dignity. We will cherish and protect the rights, liberties and freedoms of all as granted by the constitution and laws of the United States and the State of New Jersey. We will dedicate ourselves to provide quality service in courteous, efficient and accessible manner. We are committed to protecting life and property, reducing fear and developing a partnership with our citizens to prevent and solve crime. We will consistently treat everyone with dignity, compassion and without prejudice. We will listen with compassion and act with respect, fairness and courtesy. We will be firm in upholding the law while treating others as they would want to be treated. We will always remain accountable to one another, our department, and our community for our performance. We, as members of the Delran Police Department, will take pride in our profession, our community and ourselves. Working as a team, we will continually strive for excellence. If you feel that we are not living up to these Core Values, please email your concerns / complaints to aparente@delranpolice.org. Your email will be kept confidential. In an effort to increase our ability to investigate criminal activity more efficiently and effectively, the Delran Police Department is asking those businesses or residents with video surveillance cameras to voluntarily register them with the Police Department. This will enable the Police Department to respond quickly to the location of the cameras and work with the owner to possibly recover evidence of a crime or the identity of a possible suspect. This program is completely voluntary and the information will be utilized for Police purposes only. Unused medications that remain in your medicine cabinet are susceptible to theft and misuse. To prevent medications from getting into the wrong hands, New Jersey’s Office of the Attorney General and Division of Consumer Affairs urge you to properly dispose of your expired and unwanted prescription medicine at a nearby Project Medicine Drop location. DROP OFF IS SIMPLE, ANONYMOUS AND AVAILABLE 24 HOURS A DAY – 365 DAYS A YEAR, NO QUESTIONS ASKED. Simply bring in your prescription and over-the-counter medications to Delran Police Department and discard them in an environmentally safe manner. Always scratch out the identifying information on any medicine container you are discarding. Project Medicine Drop is an important component of the New Jersey Attorney General’s effort to stop the diversion and abuse of prescription drugs, including highly addictive opiate painkillers. By giving residents a safe and secure method to dispose of unneeded medication, Project Medicine Drop helps prevent the abuse of these drugs. This initiative also protects New Jersey’s environment by keeping these drugs out of landfills and out of the water supply. More information about Project Medicine Drop, including the full list of Project Medicine Drop locations can be found at http://www.njconsumeraffairs.gov/meddrop.